How you can get involved in a grassroots movement to save American manufacturing--and the American economy. The complete Product News section from the March/April 2010 issue of Gear Technology. U.S. Shot Peening and Blast Cleaning Workshop. The complete Technical Calendar from the March/April 2010 issue of Gear Technology. 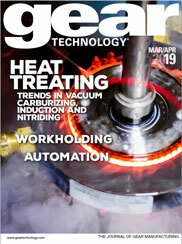 The complete Industry News section from the March/April 2010 issue of Gear Technology. A reflection by Michael Goldstein, Publisher & Editor-in-Chief. A review of "A Nation on Borrowed Time," a book by Joe Arvin and Scott Newton about the decline of America's ability to create wealth through manufacturing, and its effect on the overall economy.